A porcelain vase of double gourd form, supported on a short foot. 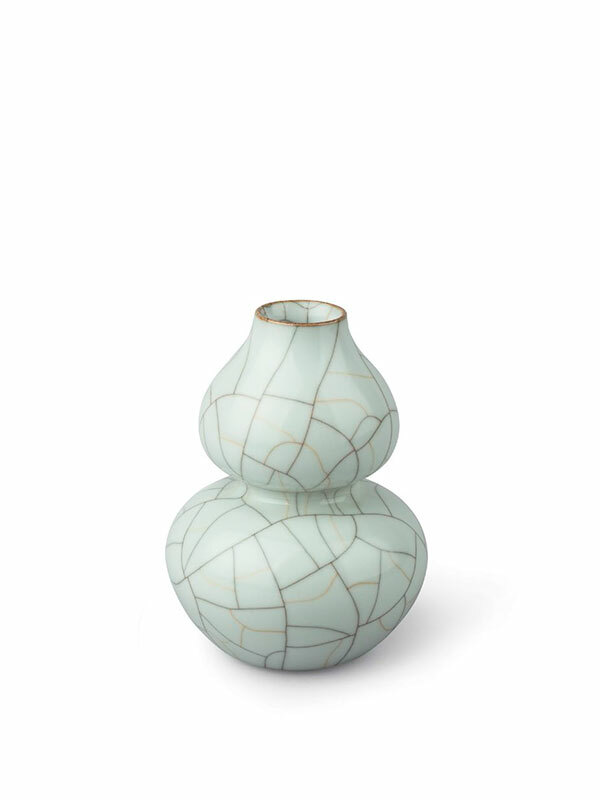 The vase is fully covered in a thick greyish blue glaze suffused with a network of black and faint russet crackle. Around the rim, where the glaze is thin, a russet colour is applied. The glaze stops neatly above the foot, revealing the dark, brownish body. The glazed base has three nail-like spur marks around the edge.